Catzowey! When Me & Myself sees the Palms this time of year, we knows we're not in da BaHaHaHamas. 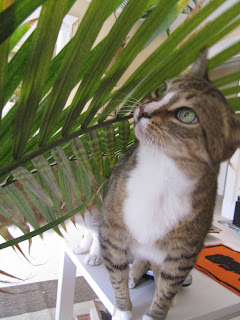 But I do know fur shure itza almost Easter time cuz da Palms has arrived! Shuksatini, I'd much rather be arriving in Palm Springs with my Guido Speedo packed! 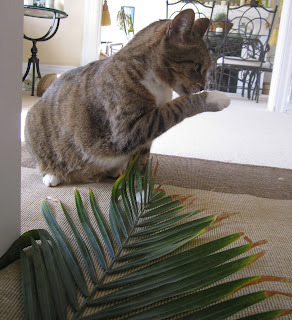 There's abundacat things to know about Palms - so before you gets your Palm read, itza good idea to wash up so your paw is pawsatively squeaky clean to read the Palms. 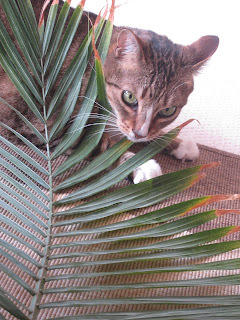 Sneak a peak at the Palms - yep uh huh, itza fur shure, you wanna checks out the Palm fonds to be sure theyza fresh and frisky for palm reading time. 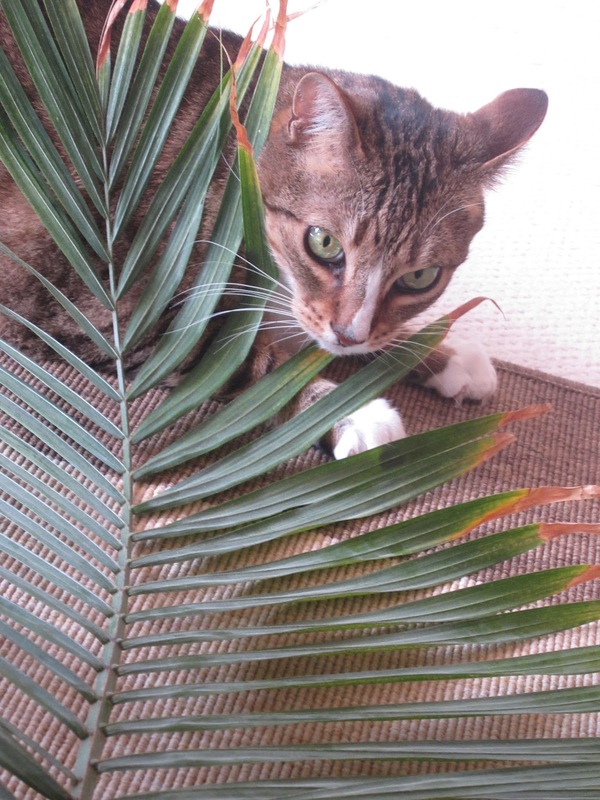 Stepping yur paws away from the Palms for a meowment is good. Get recharged with organicat carrots, cuz this wedgie of a vegie will give ya the energy boostaroni youza needs to keep going this week. 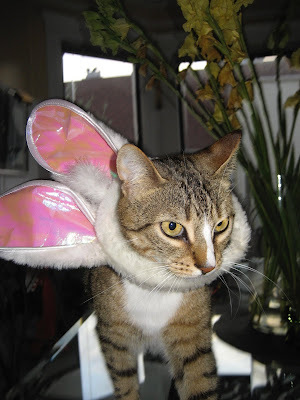 Itza Holy Cannoli Week and abundacat festivities going on to get ready to welcome dat Bunny. MEOWZA! There may come the time youza do not wanna be Palm reading so then itza time to move on to Easter flower power and getting to know your petals before dat Bunny arrives and eats em all. It's meowvalous to be chilaxing and relaxing after a day of reading the Palms and nothing makes me purr more than hugging my petals in a Man Cat way. Wishing you the mostest meowvalous week and a nonCATastrophic one too! Hoorayzatini! 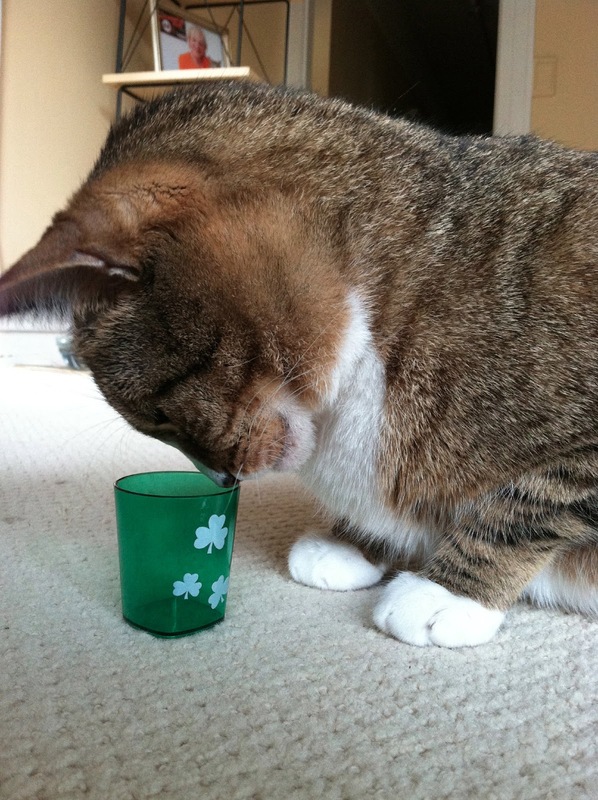 Raise the Pilsner Glass or a Purrrsner Mug of Nip Beer for celebrating the St. Paddy's Day! Me & Myself are getting all decked out in seasonal EyeRish green to match my cat eyes of course cuz I luvs deeziner stuff. It's a sea of deeziner Green and everybody acting EyeRish here and it's fur shure, everybody izza happy to see Me & Myself. Catzowey! She thinks using those Irish eyes are smiling will woo Me! 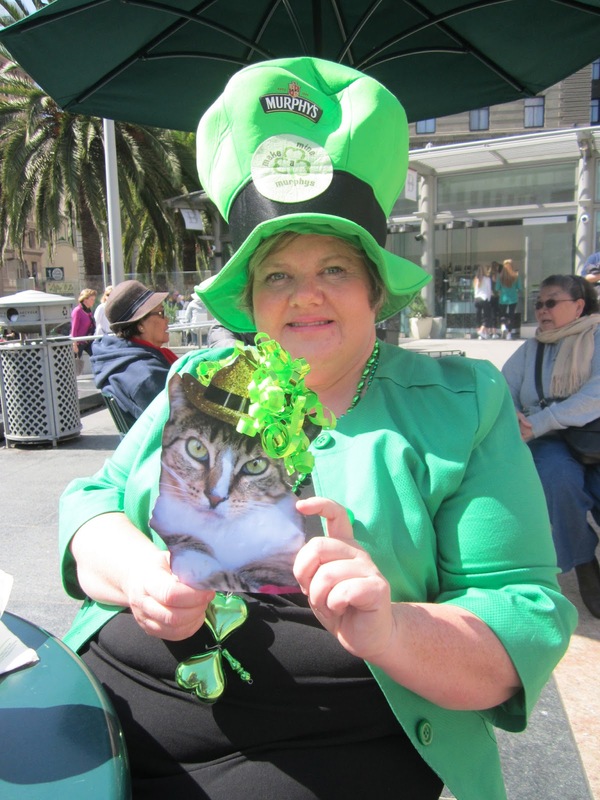 Who's behind those Irish-Tailyun eyes? 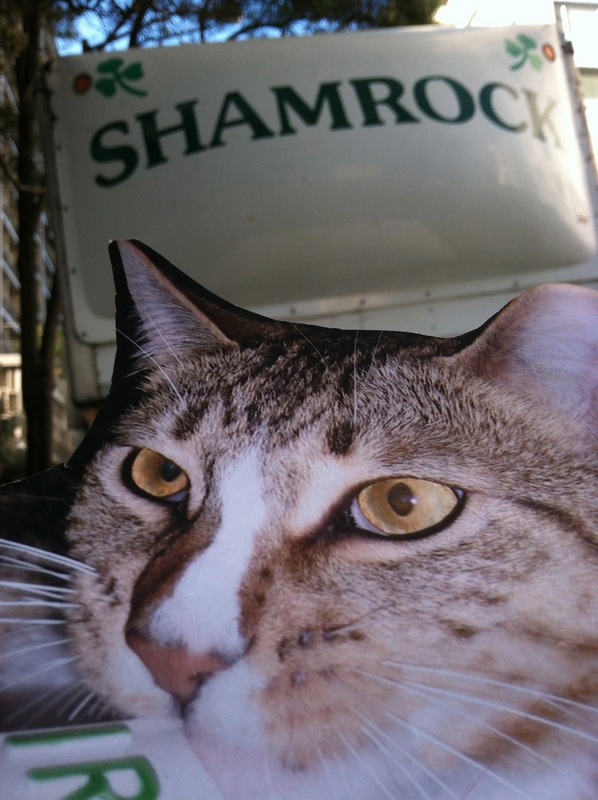 Even the moving and grooving company is Irish in San Franfuncisco on St. Paddy's Day! 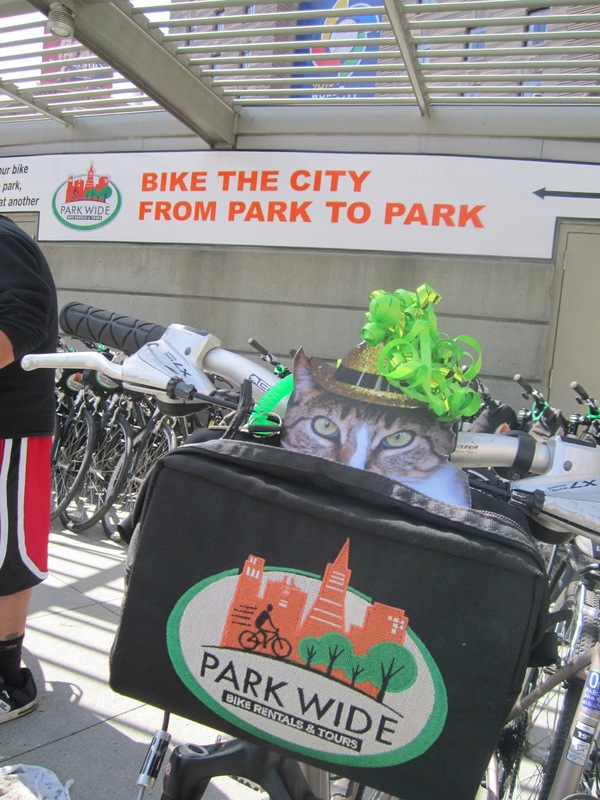 I got exhausted meeting & greeting everybody on St. Paddy's day in San Franfuncisco so gonna go for a Park Wide Bike Ride, from park to park and find my pooch pals whooza barks in the green parks. But before I bikes, I gotta chow down. Hey! Where's dat Corny Beefy stuff? SirPrize! Yep uh huh Itza me - Guido O' NoNo! Yep uh huh, it's for shure that everybody has a smidgen of dat Irish gene in them, well datza what the Irish folks say. Wellza, tip my wee Tipperary mug! Holy Cannoli we duzn't have anything this inky dinky in EyeTailYah! Wee people with wee mugs, wearing wee green sweaters are all around not-so-wee Me & Myself! This week weeza seeing a Sea of Green. Nothing more meowvalous than being down on my green down comfurter watching the sea of green pass by. Holy leaping lil' leprechauns! My favorito green just happens to be on the EyeTailYun flag and I wears it purrroudly. 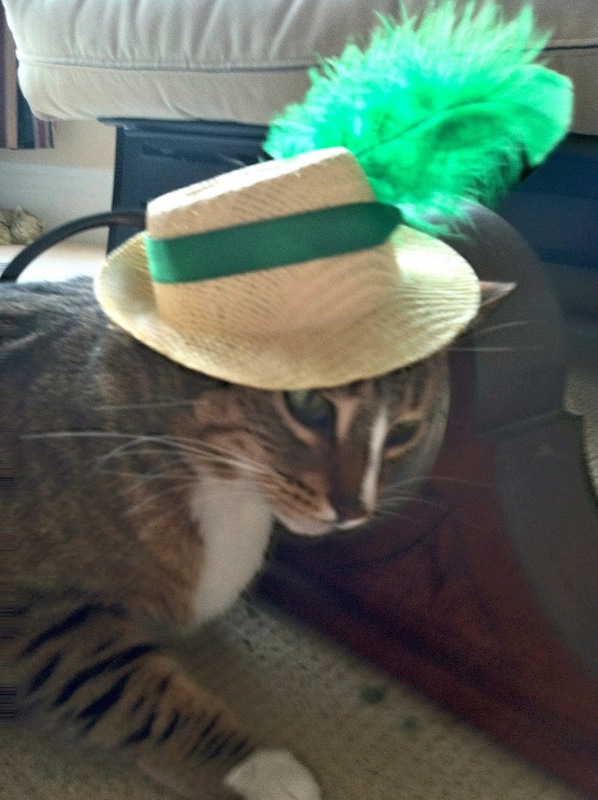 Tip Top O' the morn tooza youza from my Irish-talian self who's wearing a meowvalous "only for this occasion" hat deezined by ZK Cat Couture. Wishing you a Happy Saint Paddy's Day O'Fun. Dontcha overdo it with the green nip! 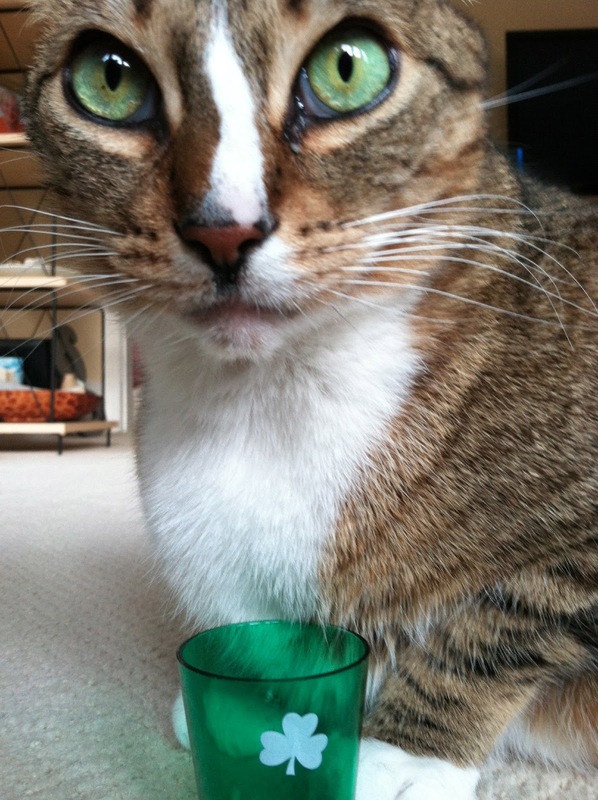 Maybe safer to have abundacat cups of green organicat tea or some yummy fresh Pesto on yur Pasghetti! Yep uh huh! There is something catzowey about partying with a pooch, and my pooch pals love hanging around with Me & Myself in San Franfunciso, where we have doggone funtastic times. We cats can strut out our stuff on the New Yawk City cat walks during fashun week so when I says "STRIKE DA POSE POOCH" my doggone good furiends pose! Way back when Me & Myself wazza smitten kitten sized and a little inky dinky, I began having the Pooch Playdates. 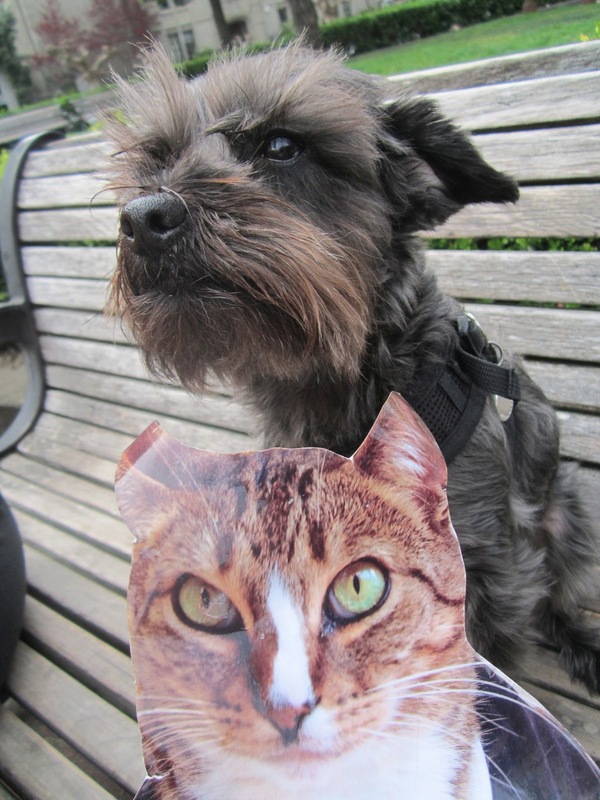 Whatza even more meowvalous than a Pooch Playdate? A doubletastic Pooch Playdate! Dipping my paws in the pool izza meowvalous when Me & Myself has a life guard looking over us, cuz I'ma not wearing my Life Purrrrsevor - I brought mine live! Hot diggity Dogster! My paws haven't touched da ground today!! It's fur shure, yep uh huh, all cool Pooch Pals go to the famoso Famous Wayne's Shoe Shine Stand in the City of our World Champ SF Giants, cuz they wanna gets their doggone great paws buffed up. Wishing youza meowvalous week and make it a doggone great & nonCATastrophic one too!